Welcome back to the Sum It Up Blog! We are going to dig a little deeper into government finance. Our goal this week is to build our foundation and give you a solid understanding of a core concept in small government finance. This Week’s Topic: Cash Basis Accounting, what is it?… yep, cue the bean counters. “Hi my name is Seth and I’m an accounting nerd.” However, YOU don’t need to be an accountant to understand this topic. If you have a role in government finance, you should have an understanding of the method of accounting your entity follows. The focus this week revolves around cash basis accounting. As a small government entity, you too are likely using the cash basis form of accounting. Let’s first make this relatable. Think about your own bank account and personal finances. The date that you get paid, or the date you write a check, is the date that the income or expense is recorded. 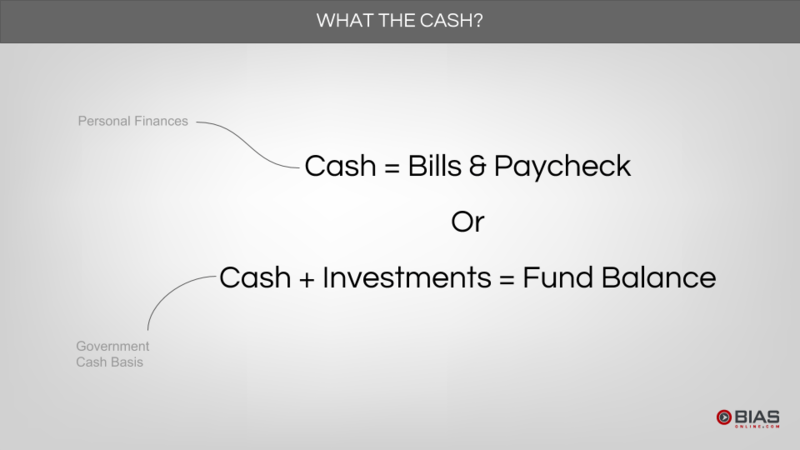 See how cash basis accounting functions is similarly to your personal finances? If there is ever a question about when to record a revenue or an expense, think about whether cash was involved and when it was involved. Let’s also bring in a formal definition of cash basis accounting. 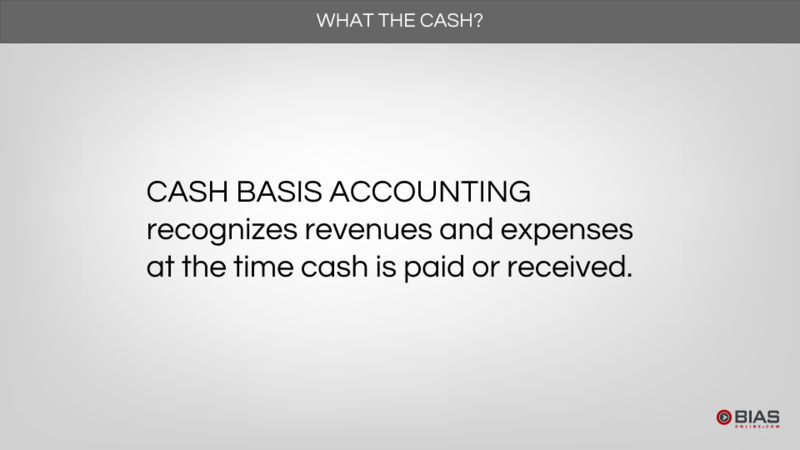 Cash basis accounting only recognizes revenues and expenses when cash is involved. If you receive cash, revenue is recorded. If you pay a bill, or other cash outflow, an expense is recorded. If revenues or expenses are not recorded when cash is received or paid you’re in violation of the golden rule of accounting. The golden rule in finance is the accounting equation must remain in balance at all times. For a government entity the accounting equation is different from the traditional accounting equation of Assets = Liabilities + Equity. Cash basis government entities will live by the equation Cash + Investments = Fund Balance. Both of these relate back to our personal finances. The amount of cash we have is the result of any income earned, less any bills that we pay. We will continue our conversation about cash basis accounting and how it relates to your government next week. Always remember as a Clerk-Treasurer, District-Secretary, or someone else in finance, your job revolves around keeping track of finances. Thanks for tuning in to the BIAS Sum It Up Blog this week, we’ll see you next week!